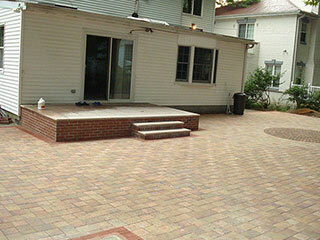 Vinny & Son Contracting is Queens' leading concrete contractor. We have been the top choice of most residential and commercial property owners in this area because of our professionalism, quality workmanship, and experience. If you haven't tried our services, please contact us soon. We will make sure that your project will be handled by professionals with decades of experience in the field of home improvement and construction. Call us at 718-539-0524. Why We Are the Right Concrete Contractor to Hire? A lot of general contractors in the Queens area offer similar services such as ours. However, property owners should be wary of hiring just any contractor. They must ensure that the company has the capabilities and can work on whatever concrete project that they may have. And here at Vinny & Son Contracting, we have these credentials. Decades of experience. Our decades of experience in the industry have helped us become experts in home improvement and other commercial construction projects. We have handled various concrete and masonry projects in residential properties in Queens, as well as ambitious projects for commercial clients in nearby areas. Creative and skilled people. Our company is composed of creative and skilled people who are all experienced. Their portfolio includes some of the stunningly designed and durably built properties in New York. They are also certified by industry organizations and partner suppliers, so you are assured that they can handle the design and installation of all kinds of concrete amenities. Quality products and materials. Aside from our expertise in building functional and stunning concrete structures for our clients, we also ensure that all the products we use are of premium quality. 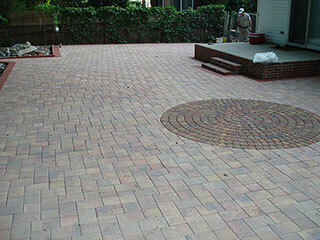 We have partnered with some of the leading hardscape product suppliers, like Cambridge Pavers, Nicolock, and CST Pavers. We also source aggregates and other construction materials from reliable suppliers. By using only top-notch products and construction materials, we can guarantee clients with durable and long-lasting concrete amenities. Complete resources. At Vinny & Son Contracting, we have invested in various tools and equipment to make us capable of handling all types of concrete projects. From simple masonry tools to heavy equipment used for large construction projects, we have them. These resources also help us provide fast and reliable services. With these credentials, we are definitely the best concrete contractor that you can hire in Queens, NY. At Vinny & Son Contracting, we can handle all types of concrete works, regardless of their complexity or scope. We can work on concrete patios, fences, walls, foundations, walkways, and other concrete structures in residential properties. Commercial property owners in Queens can also rely on us when it comes to building concrete structures and amenities, such as driveways, parking lots, sidewalks, perimeter fences, and other similar structures. These capabilities have made us a reliable concrete contractor not only in the city of New York but also in nearby areas. If you want to be sure that your property improvement project is in the right hands, hire Vinny & Son Contracting today. By hiring an experienced concrete contractor like us, you're guaranteed of attractive structures and amenities that can last a lifetime. Call us right now at 718-539-0524 so we can start discussing your project requirements.